Oh my goodness, Ramsey is just too cute! 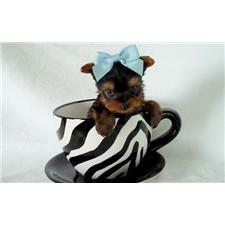 This Yorkshire Terrier - Yorkie nicknamed Ramsey sold and went to a new family. Oh my goodness, this little guy is just too cute! Ramsey has a more soft mellow personality but he loves to play once he gets going. Actually right now Ramsey likes being held more but once he gets playing he's so darn cute to watch and play with. 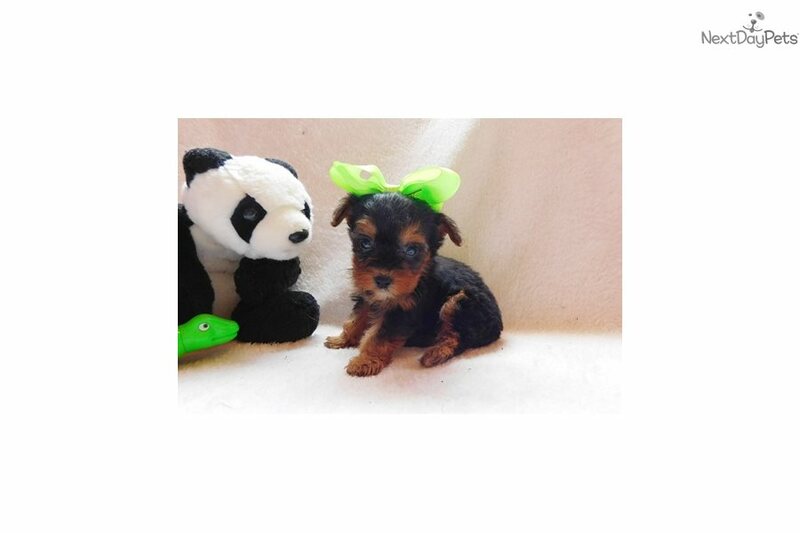 I think Ramsey will be the darker black and gold yorkie and my guess right now on his adult weight is about 4-6. He has the short cubby body with an adorable little face. Pictures were taken at 6 weeks old. Price is pet price only please add 200.00 if you want the registration. Please see my site for more pictures. All my puppies are working on potty training. They come with up-to-date shots and records. I give a year health guarantee, (It can be extended to 2 years.) Please take a minute to check out my website. 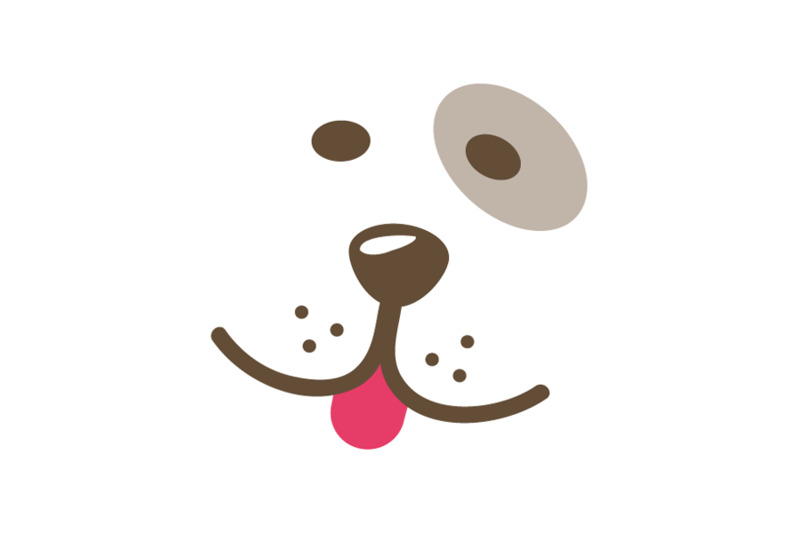 There are articles on there on how not to get scammed when buying a puppy online, also there are health articles and more. I only deliver in the lower 48 states and the puppies are hand delivered and paid for when you get them. I do require a deposit upfront, unless you are coming to pick up in person in a day or two .